Then and now: How have your breastfeeding goals changed? Maybe you started off wanting to just try it out and ended up an activist for child-led weaning. Maybe your goals have stayed the same from the beginning. Tell us about it! I know we all start off with a goal during our pregnancy and sometimes after our baby is born we are faced with obstacles and things don’t always go as planned. Sometimes they do. Were you able to stick with your original goals? Were you able to set new ones through any obstacles you faced? What has helped you reach your breastfeeding goals? Today’s topic is focused on what helped you reach your breastfeeding goals? Is there a particular product out there that helped you to breastfeed? Maybe an SNS system that kept your baby at the breast or a pillow that helped you through those late nights. Tell us your must have! We have a wonderful article sharing Sweet Oatmeal Lactation cookies provided by the Natural Parents Network. Such a fantastic article written by Hobo Mama!!! Thank you for contributing. Hobo Mama has shared a wonderful story on breastfeeding and explains how this happens at any given place or time! Hobo Mama: Breastfeeding here & there. Today’s topic is one about you. A chance to share your breastfeeding story. Tell us your story, A supportive partner, helpful friend, organization, etc.? How did they help you? The Beauty In Breastfeeding Project was designed to give mothers out there a chance to share their experiences in which led them to the choice to breastfeed, their struggles and triumphs. This beautiful project was created with the partnership of Tiny Blessings Doula Services and Bud to Blossom New Family Services and Captured In Time Photography. Our goal is to raise awareness to those out there that throughout each struggle there is a triumph. There are so many mothers who never shared their feelings, problems or love with breastfeeding due to personal, medical or social stereotypes. This project has given them an opportunity to share their story to let others out there know they aren’t alone! The Beauty In Breastfeeding Project, allowing real moms a chance to share their personal stories of triumphs, struggles & sacrifices while breastfeeding. The Art of Labor, a trio team of local businesses, Captured In Time Photography, Tiny Blessings Doula Services and Bud To Blossom, created the Beauty In Breastfeeding Project allowing mothers to share their personal breastfeeding journeys. What started as a small project has grown tremendously and mothers throughout the State of Utah have shared their stories. Around the world these stories are reaching mothers and raising awareness. Our goal is to raise awareness to those out there that throughout each struggle there is a triumph. There are so many mothers who never shared their feelings, problems or love of breastfeeding due to personal, medical or social stereotypes. This project has given them an opportunity to share their story and to let others out there know they aren’t alone! This project was created to provide support, awareness and beauty behind each mother. This support is needed for so many whether this is their first child or third, if they are a SAHM or working full time. Each mom that has faced a struggle needs to know they are not alone. The Beauty In Breastfeeding Project is a free service for mothers. For mothers wanting to share in the State of Utah a 20 minute photography session is provided by Laura Clouse, the owner and creator of Captured In Time Photography. The project has recently expanded and they are now providing photography sessions in Michigan!!! We are proud to announce that Tammy Lynne Photography will be providing sessions in Southeast Michigan (Washtenaw County) AND Jennie Holladay Photography will be providing sessions in Northern Oakland and Northern Macomb Counties, Genesee, Lapeer and St. Clair counties! This is fantastic news as we are able to grow and share this project with so many! With the growth of the project we are always looking to provide our photography sessions in other states via volunteer affiliate photographers. read to get breastfeeding answers? Be creative! There are so many different outlets available for mothers breastfeeding and one of those outlets is the internet. Just google breastfeeding support and you are given so many helpful links. There are groups built on social media with a main focus to support mothers, answer questions and give helpful tips. During your pregnancy books become an expecting mothers best friend at times. There are so many helpful books available online, in your local library and possibly sitting in the waiting room at your doctors office. Thank you to Monkey Baby Wrap Blog for the wonderful tips on Non-traditional Breastfeeding Support! Her suggestions and tips are amazing! Please read below to learn more on what they recommend. To follow Monkey Baby Wrap Blog please click here! Let me introduce myself, my name is Laura and I was asked to help with the Carnival and topics this year for the Breastfeeding Cafe. At our last group meeting we decided to only run the Carnival blog for 1 week where in the past we have done it for two. Starting next week our first topic will start! For those of you with blogs, please participate in as many topics as possible (just email me your links to participate and I’ll send you the HTML to add with instructions). For those of you who are going to do guest blogging, please let me know ASAP which topic you would like (and include a second pick too in case your first is gone) and I will email you back confirming that you’re scheduled. Monday, July 27th – Non-traditional support. We all know how our world is changing. Has someone helped you through the internet? Is there a book you read to get breastfeeding answers? Be creative! Tuesday, July 28th – Share your breastfeeding story? Tell us your story, A supportive partner, helpful friend, organization, etc.? How did they help you? Wednesday, July 29th – Breastfeeding in public. We all know that life goes on while breastfeeding and leaving the house means breastfeeding in public. Tell us your stories, thoughts, and so on. Thursday, July 30th – What’s your favorite long-term breastfeeding benefit? We all know that breastfeeding has a whole host of long-term benefits for both baby and mom, which one is your favorite? 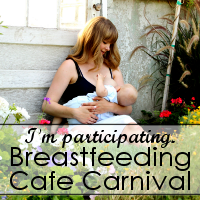 Friday, July 31st – What has helped you reach your breastfeeding goals? 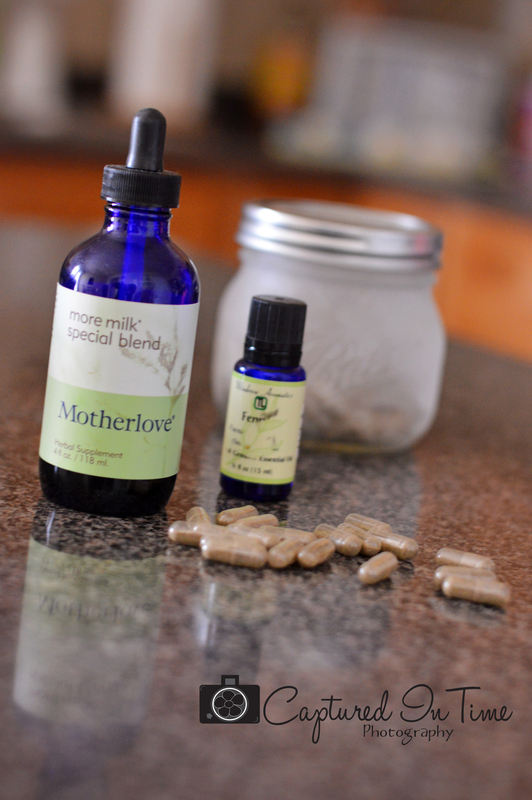 Is there a particular product out there that helped you to breastfeed? Maybe an SNS system that kept your baby at the breast or a pillow that helped you through those late nights. Tell us your must have! Saturday, July 23rd – How has breastfeeding changed your life? We know all about the physical benefits of breastfeeding, but what about the emotional side? How has breastfeeding effected you as a person? photos. Share photos of your nursling! Sunday, August 1st – Then and now: how have your breastfeeding goals changed? Maybe you started off wanting to just try it out and ended up an activist for child-led weaning. Maybe your goals have stayed the same from the beginning. Tell us about it! If you’re in the area of the Cafe and would like to volunteer, email bfcvolunteercoordinator@gmail.com for more information!